Here's the answers for the Chapter 39 levels (681 to 700) in Word Addict. You'll find below some extra words than you are required to find, because for each player the levels are not exactly the same. If you find an error or can't find the word you're looking for just leave a comment and I'll try to add the missing answers. Word Addict Chapter 39 Level 681 to 700 Answers, Cheats, Solution for Android, iPhone, iPad, iPod. Note: This is "Word Addict" by "Platinum Player LLC"
Here's the answers for the Chapter 38 levels (661 to 680) in Word Addict. You'll find below some extra words than you are required to find, because for each player the levels are not exactly the same. Word Addict Chapter 38 Level 661 to 680 Answers, Cheats, Solution for Android, iPhone, iPad, iPod. Here's the answers for the Chapter 37 levels (641 to 660) in Word Addict. You'll find below some extra words than you are required to find, because for each player the levels are not exactly the same. Word Addict Chapter 37 Level 641 to 660 Answers, Cheats, Solution for Android, iPhone, iPad, iPod. Here's the answers for the Chapter 36 levels (621 to 640) in Word Addict. You'll find below some extra words than you are required to find, because for each player the levels are not exactly the same. Word Addict Chapter 36 Level 621 to 640 Answers, Cheats, Solution for Android, iPhone, iPad, iPod. Here's the answers for the Chapter 35 levels (601 to 620) in Word Addict. You'll find below some extra words than you are required to find, because for each player the levels are not exactly the same. Word Addict Chapter 35 Level 601 to 620 Answers, Cheats, Solution for Android, iPhone, iPad, iPod. Here's the answers for the Chapter 34 levels (581 to 600) in Word Addict. You'll find below some extra words than you are required to find, because for each player the levels are not exactly the same. 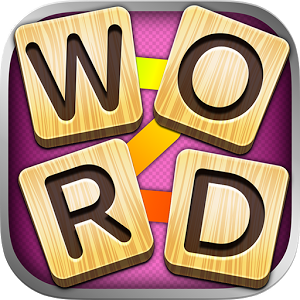 Word Addict Chapter 34 Level 581 to 600 Answers, Cheats, Solution for Android, iPhone, iPad, iPod. Here's the answers for the Chapter 33 levels (561 to 580) in Word Addict. You'll find below some extra words than you are required to find, because for each player the levels are not exactly the same. Word Addict Chapter 33 Level 561 to 580 Answers, Cheats, Solution for Android, iPhone, iPad, iPod. Here's the answers for the Chapter 32 levels (541 to 560) in Word Addict. You'll find below some extra words than you are required to find, because for each player the levels are not exactly the same. Word Addict Chapter 32 Level 541 to 560 Answers, Cheats, Solution for Android, iPhone, iPad, iPod. Here's the answers for the Chapter 31 levels (521 to 540) in Word Addict. You'll find below some extra words than you are required to find, because for each player the levels are not exactly the same. Word Addict Chapter 31 Level 521 to 540 Answers, Cheats, Solution for Android, iPhone, iPad, iPod.